Barcelona winger Malcom is the subject of interest from Tottenham, who are looking for a short-term replacement for the injured Harry Kane. According to the Daily Star, the England striker has been ruled out of action until March after sustaining ankle ligament damage during Tottenham’s 1-0 defeat to Manchester United at Wembley on Sunday. 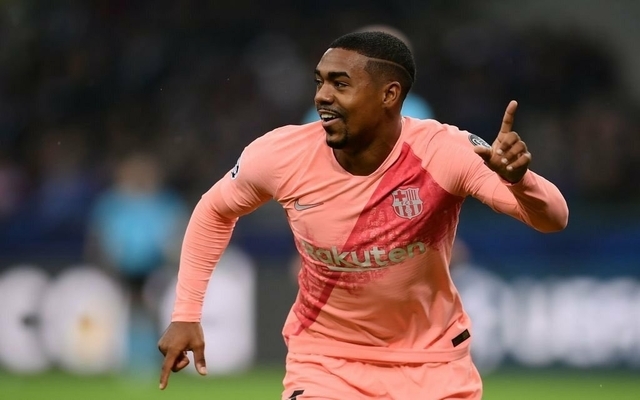 The Daily Star reports that Spurs are now considering a loan swoop for Barca misfit Malcom, as they look to bring in reinforcements up front to soften the blow of losing Kane at such as a crucial period of the season. Lilywhites boss Mauricio Pochettino is also without Son Heung-min until February, as he serves in the Asian Cup for South Korea, while Lucas Moura is due to return from a spell on the sidelines at the end of the week. Fernando Llorente is the only traditional centre forward left in the Spurs squad, but he has struggled since his move from Swansea in 2017, which leaves Pochettino with a difficult choice to make. If the club are willing to sanction Malcom’s temporary switch though, Tottenham could be granted a reprieve, given the fact that he could slot straight into the starting line-up and feature as either a winger or a false nine. That being said, at the moment he would have to be considered a risky signing, given his frustrating first few months at the Camp Nou after moving from Bordeaux during the pre-season transfer window. The 21-year-old has only featured in five La Liga matches for Ernesto Valverde’s side so far this term and he finds himself behind the likes of Arthur, Luis Suarez, Philippe Coutinho and Ousmane Dembele in the pecking order at the club. 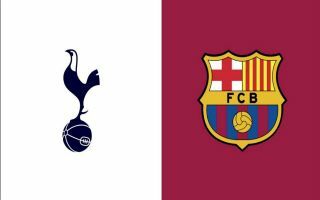 At Tottenham, he would be granted regular football for at least a month, but whether or not he would showcase the talent he has only displayed in glimpses at Barca is anyone’s guess. Malcom is still a raw talent with plenty of time to develop into a top player and perhaps the potential reward outweighs the risk for Spurs at this stage, as they prepare for life without their star striker and top scorer Kane.